We are going to install OBI 11g with following sequences. 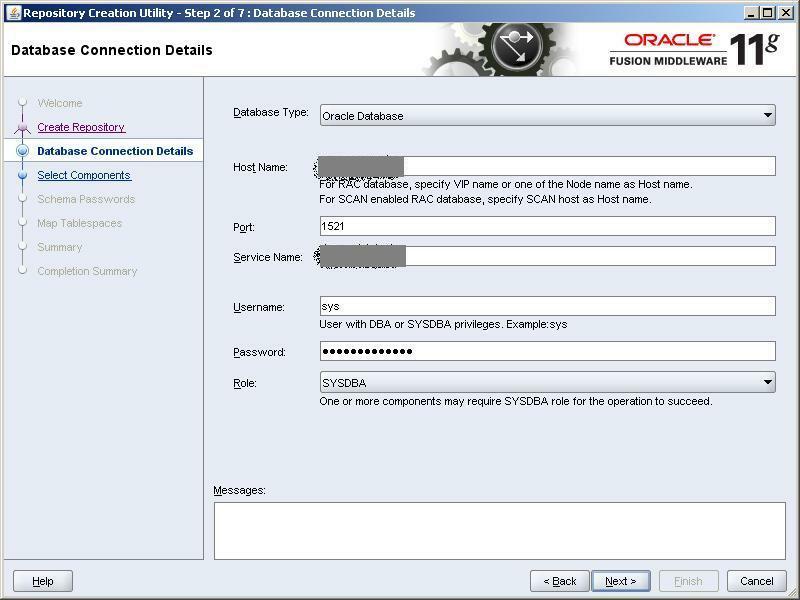 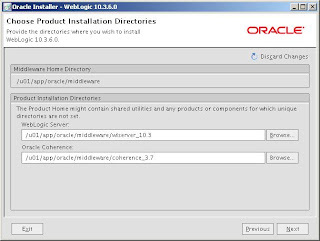 Install Oracle database 11.2.0.3 standard edition database. 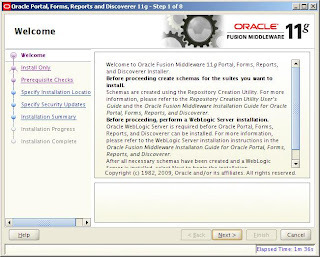 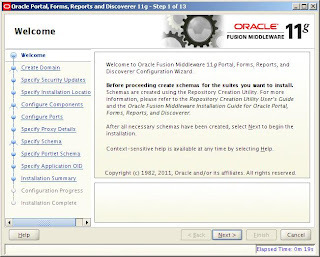 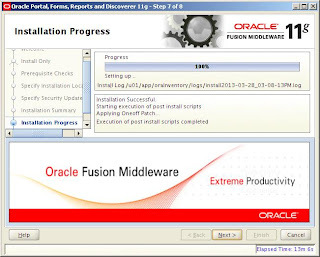 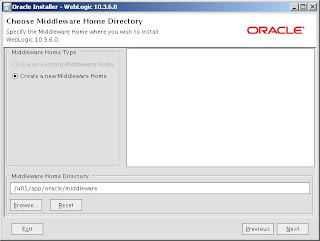 Download the installation files from the http://www.oracle.com/technetwork/middleware/data-integrator/downloads/index.html on your desktop. 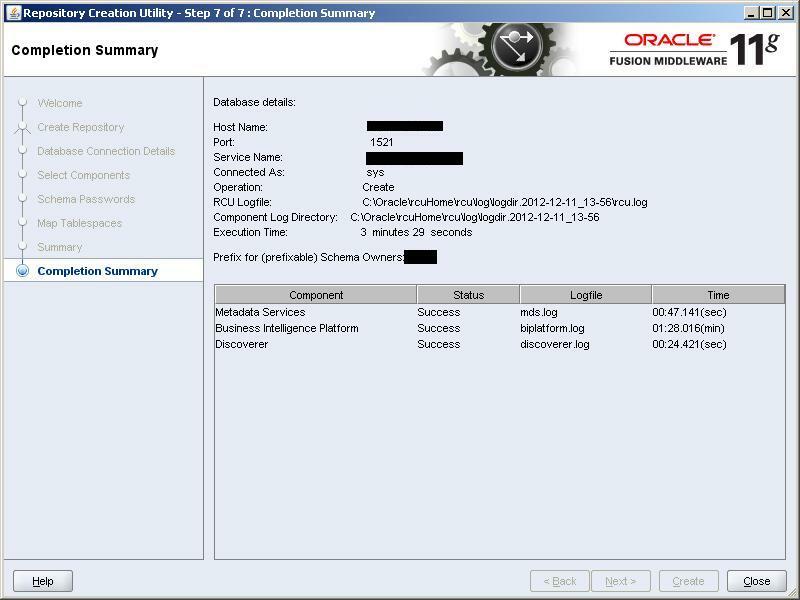 Unzip the file, navigate to the bin directory and start the RCU => rcu.bat. 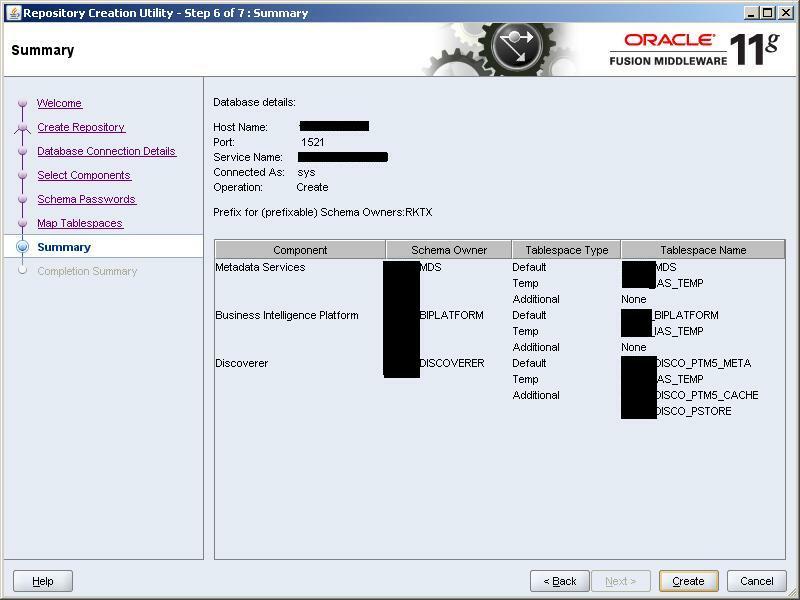 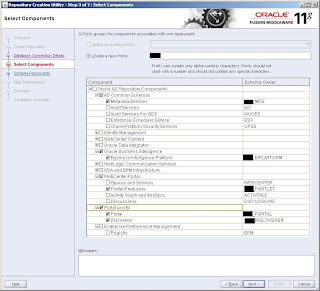 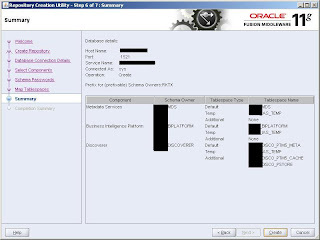 Select the Oracle Business Intelligence Component.This action automatically selects the Metadata Services (MDS) schema (under the AS Common Schemas group). 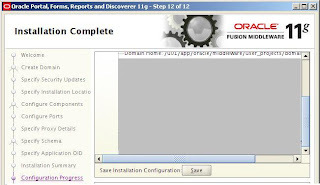 So at this point, Repository Creation succeded!! 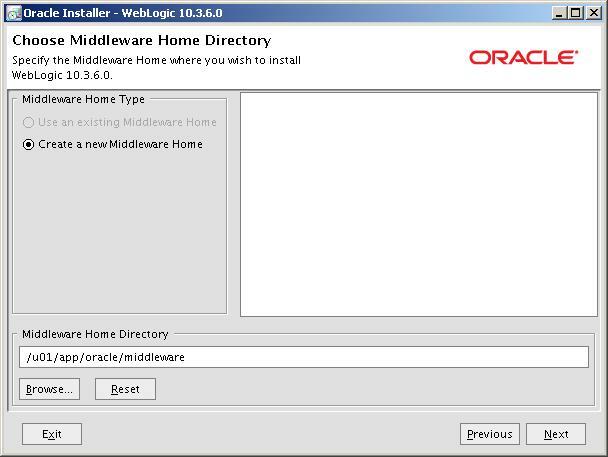 We need to make sure that weblogic is using jdk1.7.0_17 while running installer. 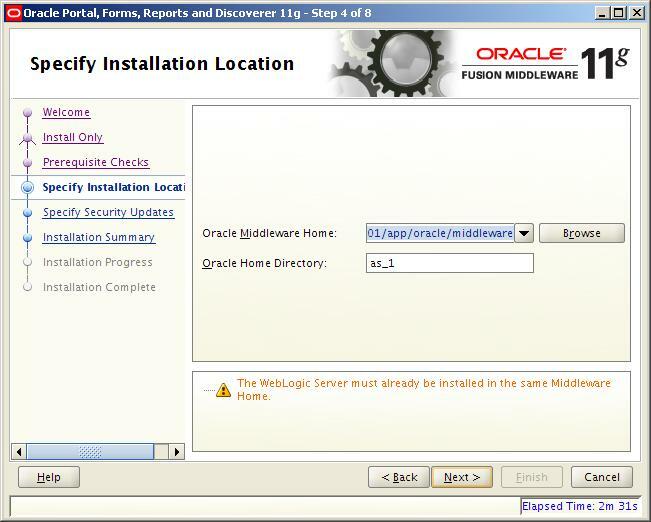 Now that the Weblogic server is installed. Our final step is installing Oracle Discoverer 11g. We'll do that after applying patches. Once everything is installed and patched. 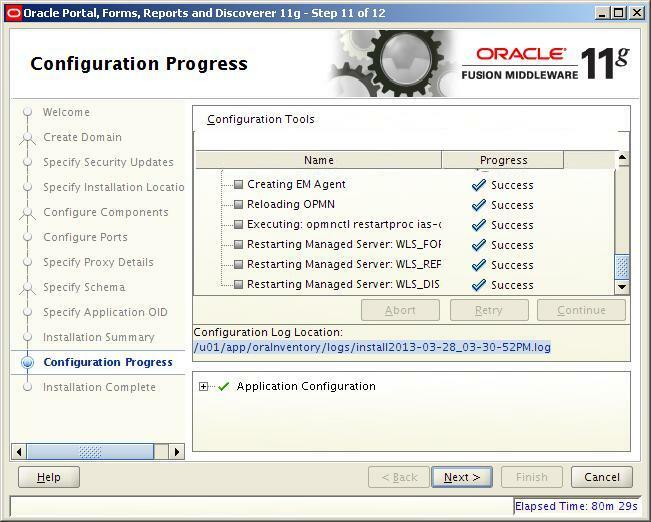 Run configure Portal,Forms,Reports & Discoverer. 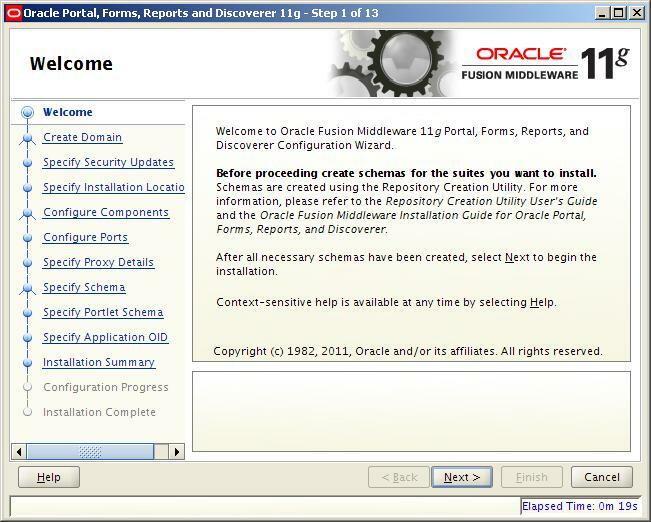 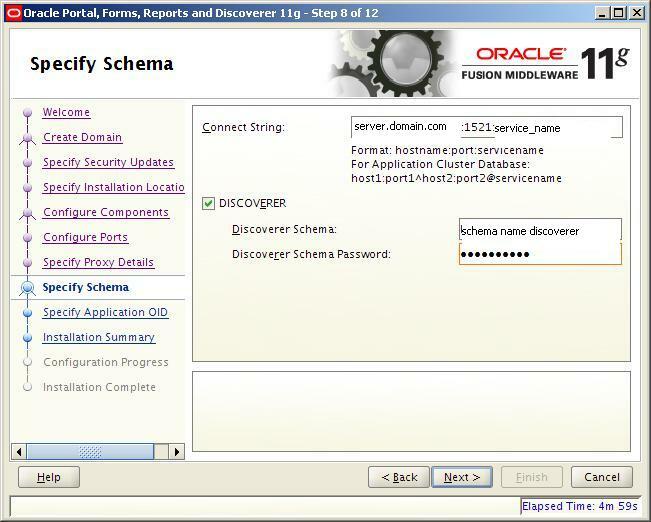 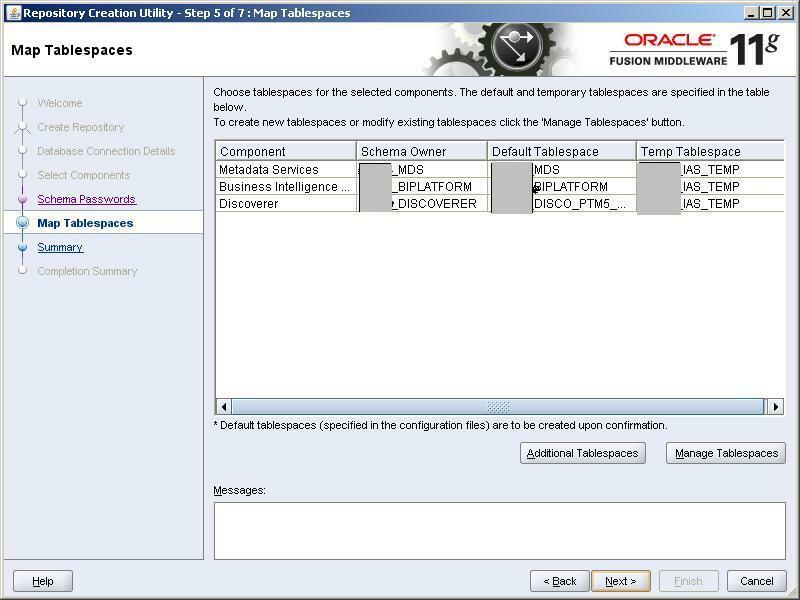 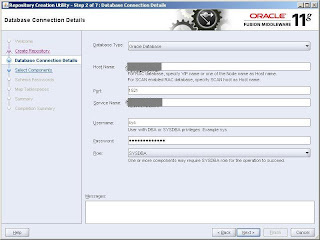 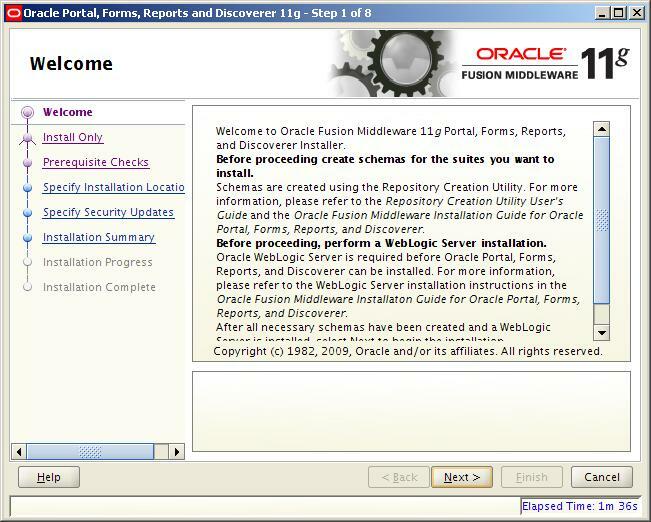 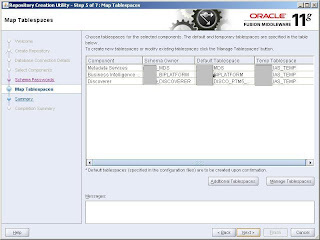 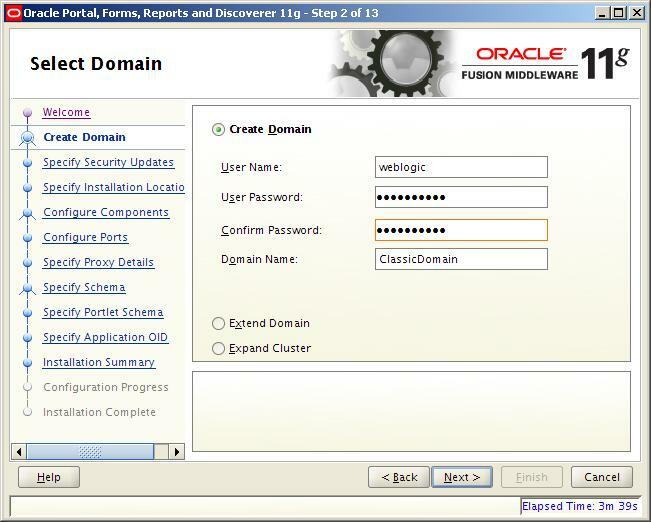 At this point.....Installation of Oracle Discoverer 11g has been successfully installed. 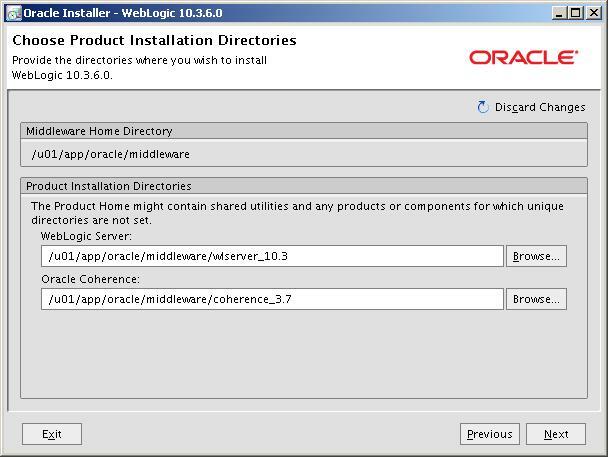 Note that, even if webcache is down, you can still access Discoverer with the 8888 port!!! 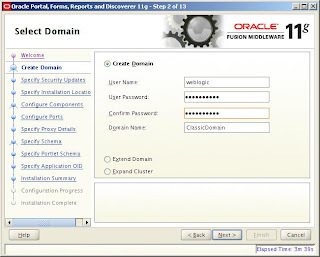 can you provide me your email id. 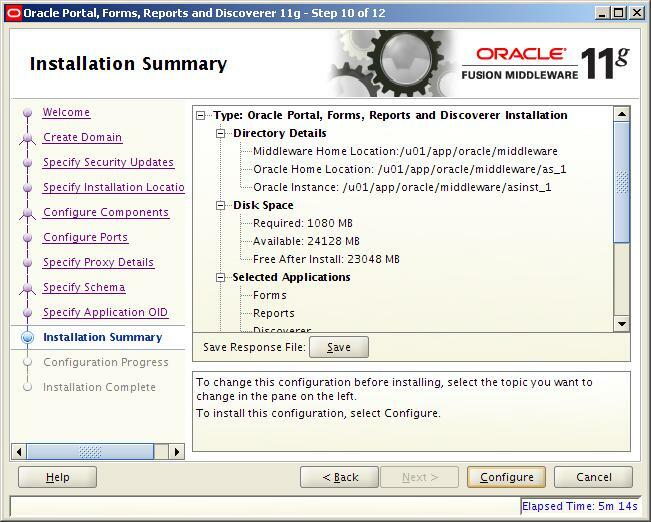 i need to ask some question regarding apps r12. 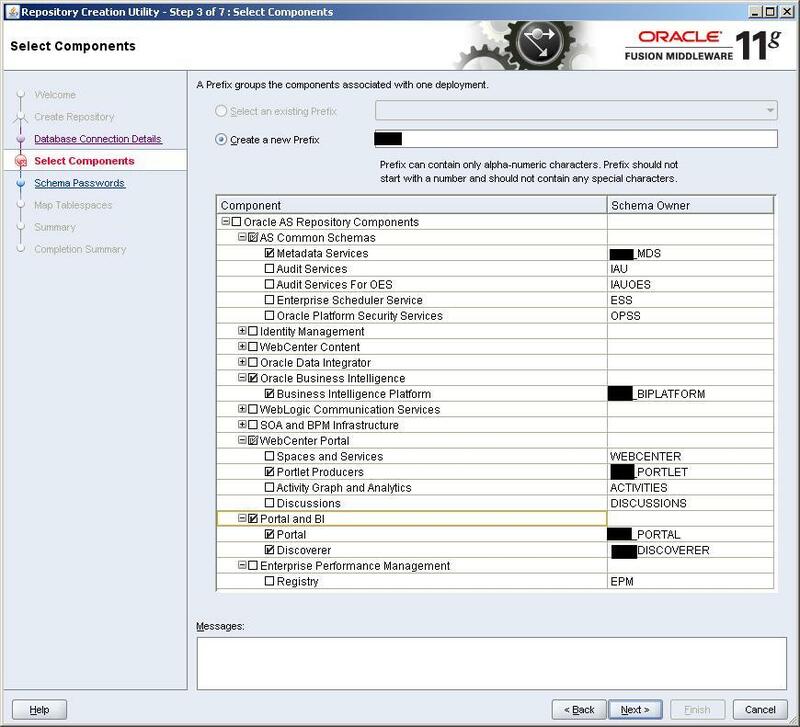 Unfortunately I donot have experience on apps12 , my working experience limited to core database and on BI+Oracle websphere. 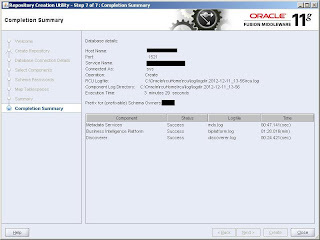 I'd suggest to seek help from apps dba experts, tons of blogs on internet, just google it. Thanks for you nice post. 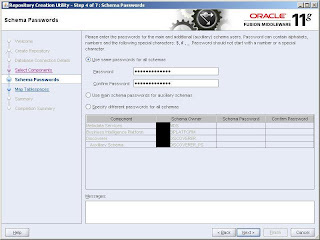 I like to know how we can create the EUL schema in the database here we don't have Discoverer administrator to create the EUL then how we can create the EUL. 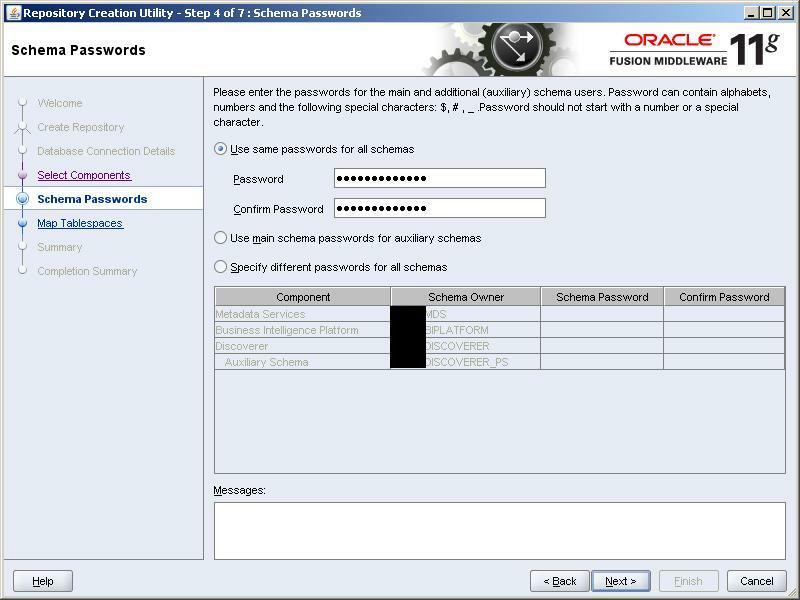 EUL schema is part of configuration, thats why it wasn't included in this post. 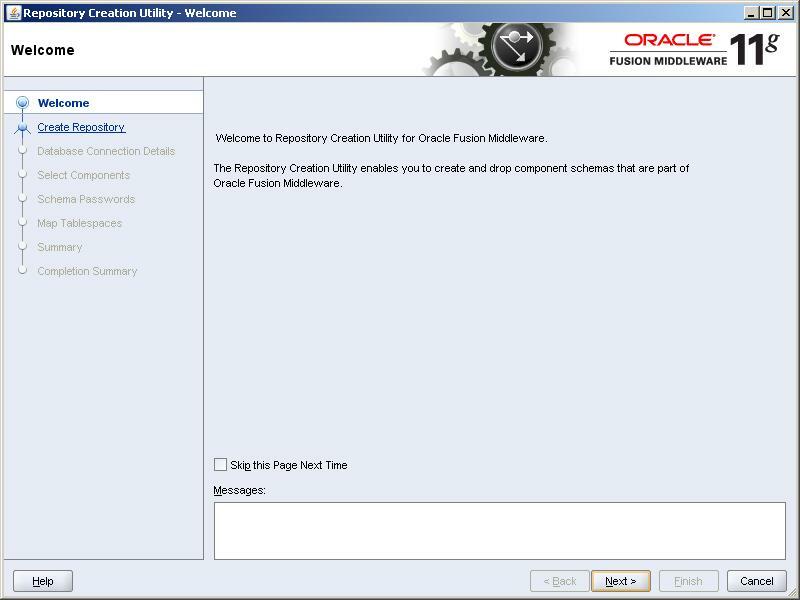 In order to create it, you need to download and install Oracle Discoverer Administration/Desktop module. 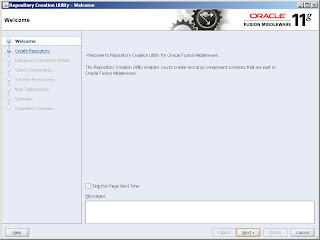 You'll find a wizard to create EUL. I believe you'll be able to do it. 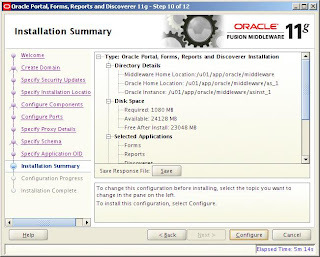 Incase if you face difficulties, don't hesitate to reply back.